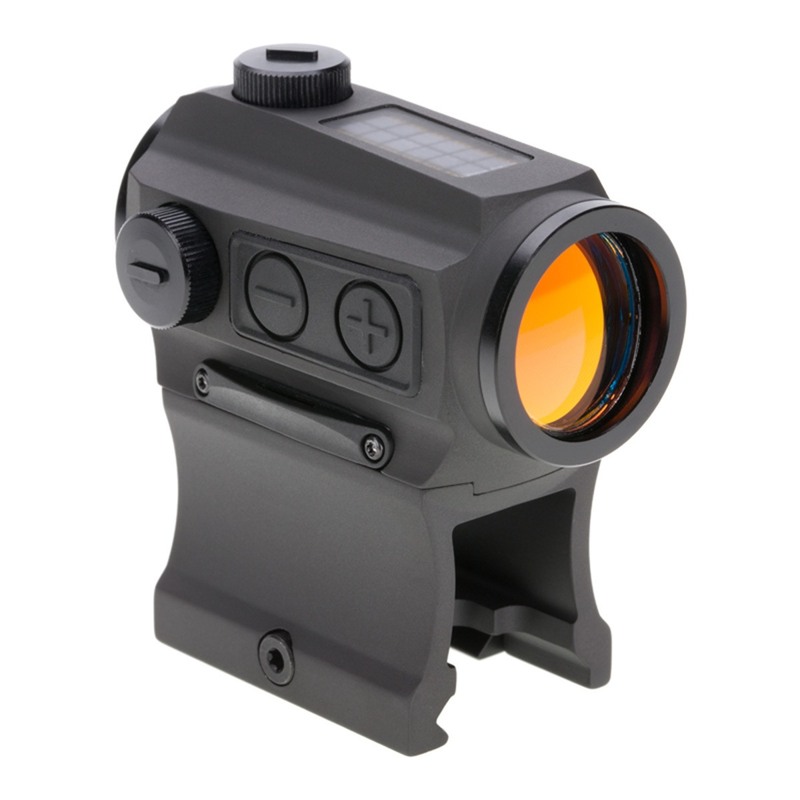 Don't ever be stuck at the range or in the field with a red-dot optic that's out of juice. 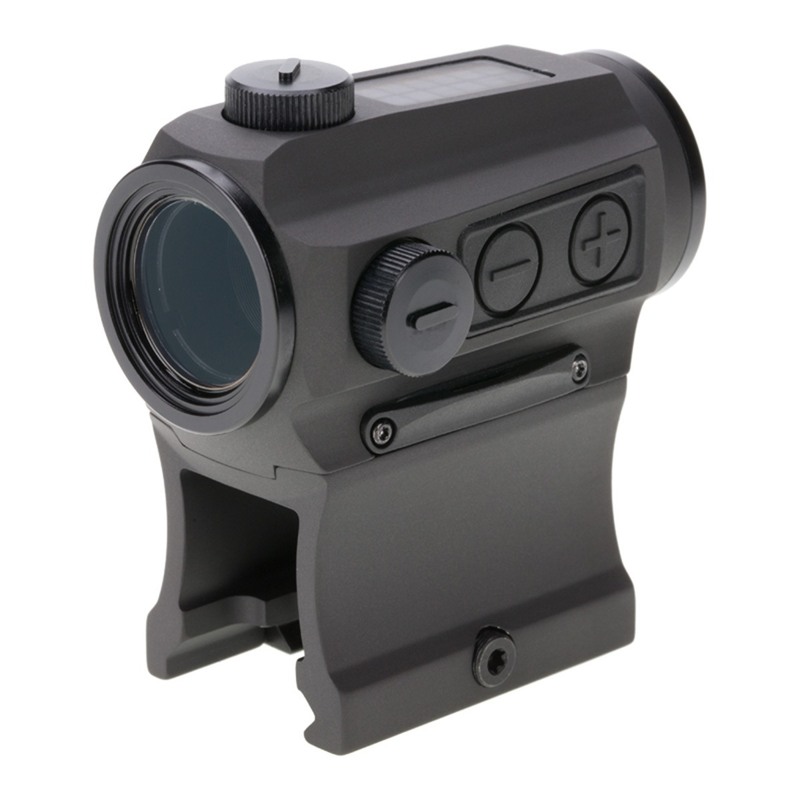 The Holosun HS403C Solar Micro Red Dot Sight is purpose-built to ensure that hunters and shooters have an optic that can run off multiple power systems. 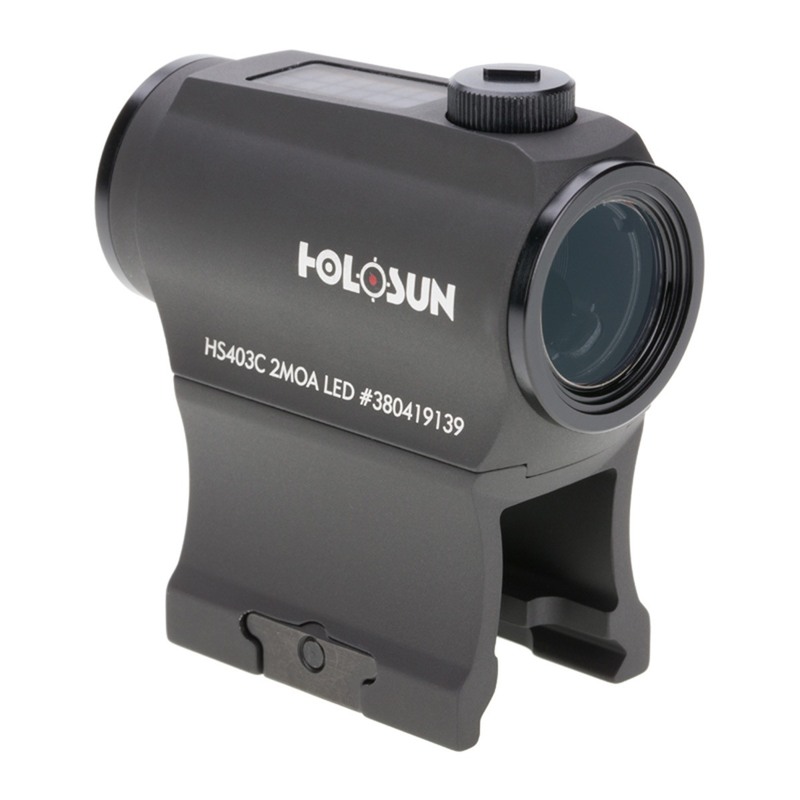 The Holosun HS403C Solar Micro Red Dot Sight is built with a combination of built-in solar panels combined with an ultra-efficient LED system that uses a bare minimum of power to provide an aiming point measuring 2 MOA in diameter. In sufficient sunlight, the optic can run without depending on a battery backup. Each Holosun HS403C Solar Micro Red Dot Sight ships with a low-mount riser and a 1/3 co-witness mount that's purpose-built for modern sporting rifles.